Many companies in Hong Kong use Google Adwords, Facebook ads to promote their companies, or increase sales. But have you ever thought that in the age when everyone loves to watch movies today, KOL can make a comeback at home every day, and a short film of a well-known KOL can be obtained in just a few days? You should know about 100,000 or even millions of views - Youtube is the next marketing channel that you need to pay attention to and even use. Youtube can get you to reach millions of users. However, Youtube looks much more on weekdays, but using Youtube for Marketing believes that no one knows so many people. To do Youtube Marketing, you need to focus your YouTube Marketing strategy on specific goals, diversify your content, and optimize for YouTube's Search Engine, which helps your company build effective and engaging. Film work case. Are you looking for new ways to promote your business and stand out from the crowd? As long as you use the right marketing strategy, using YouTube to promote your company has a huge potential. In this article, we'll show you how to start YouTube Marketing for your company and explain how to set up a strategy. Why is YouTube a potential marketing tool? YouTube has more than 1 billion users, about one-third of all Internet users, and has more than 1 billion hours of watch per day - more than Netflix and Facebook. Youtube covers 88 countries and regions and is available in 76 different languages. In the United States, Youtube covers more than 18 to 34 years of age, more than any TV network. First, what do you want from YouTube Marketing? Because the goals you set will affect the strategy you have developed. The goal needs to be clearly defined. Use SMART to set your goals and ensure that each goal is: specific, measurable, achievable, relevant, and time-bound. Develop key performance indicators (KPIs) to make your broad goals more practical. For example, to measure the goal of "improve brand awareness," your KPI can be set to "10% increase channel subscribers within 30 days. Using a specific KPI helps assess your return on investment (ROI) and provides an accurate report of all your resource expenditures. Deciding which movie to make depends on your creative resources, the quality and budget of the film. Invest in equipment that produces high-quality sound and movies. However, simple mobile phone lenses can already satisfy different situations, especially single vlogs or one-on-one interviews. The good news is that you don't have to spend too much money on making YouTube videos. Having said that, if the sound of your film or the quality of the film is not good, they will have difficulty competing with other films. Interview with KOL in your industry. These videos can appeal to users who are familiar with your company or interested in your guests. And KOL can also help you improve the company's image. The video series performed very well on YouTube. Users generally know what videos they want to watch, and then they enter relevant keywords in Youtube to search. For example, Evan Carmichael has several interesting film series, one of which is the “Top 10 Rules For Success” series, with different success in each episode. Series: If you come up with a great video idea, use it as the basis for the film series, just like the "Top 10 Rules For Success" series above. How-To Videos: These videos are valuable to your audience and your company - especially in the movie to indicate how your company can solve their problems for customers. Products and instructional videos: Show the audience what your products can do and how they can help your customers. For example, MailChimp shows users how to use Mailchimp to create a Facebook campaign through a short video. Animated Movies: Consider adding multiple movie types to your strategy. Diversity helps increase the appeal of customers and keep them engaged. Remember to plan your video content in advance and set up Deadline to make sure you're ready for what you need and post different types of videos. You can consider using YouTube's management tools. Like other social platforms like Facebook and Twitter, YouTube is thriving on user interaction. In order to drive customer interaction, you also need to actively engage users to interact with you and respond to user comments/messages. As online channels become more and more, a large number of user comments or reviews will become a challenge for the company. If you don't have some management tools, it may take a few hours for you to reply to all comments/messages. Surprisingly, there aren't many management tools for YouTube. One of them is Agorapulse, which is available for four major social media platforms - including YouTube. Review the user's message for your video and decide when and how to post the response. For negative comments, it is best to reply as soon as possible. Respond to users as a team: Assign questions based on the areas of expertise of different people in your company. Monitor your brand name on YouTube so that you never miss a user's comment on your company in other videos. Set some standard answers in advance to quickly respond to frequent and similar comments. If you want to get good marketing results through YouTube, you need to optimize your YouTube channel and content. By optimizing your videos for the right keywords, your target audience is more likely to see your videos. The more people can see your videos, the better the video views, engagements, and subscribers. Keyword: Find out which keywords (Keyword) your target users will type to find your videos, and then add those Keywords to your videos. Put the Keyword in the movie description, and your Keyword should be similar or identical to the movie title. You can even use YouTube's search to find Keyword ideas and provide you with video ideas. Tags for channels and personal videos: Add as many relevant tags as possible. Tools such as TubeBuddy can help you find the right label. .
Interactions and subscribers: YouTube will measure the quality of your videos by taking into account the user’s participation in your videos and the number of subscribers. In addition to the number of comments and Likes, you will become your number of subscribers as soon as the user watches your video, which will also increase your ranking. If used properly, YouTube will have a positive impact on you. 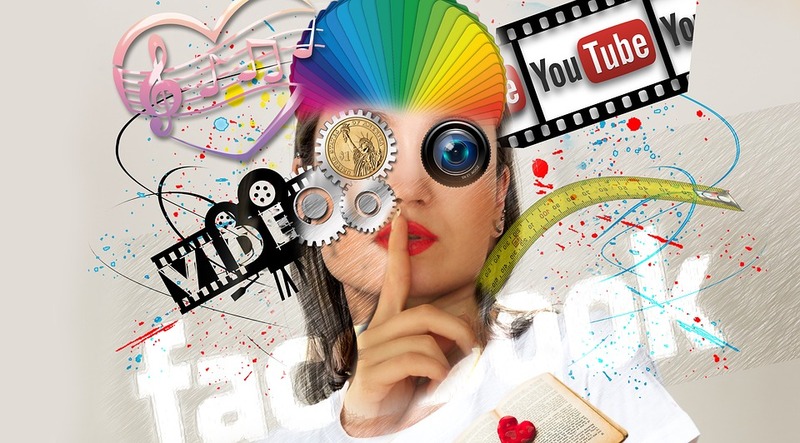 Keep in mind these tips and tricks for using YouTube as an effective marketing channel. Set goals and then develop strategies around them. Continue to release new videos and explore a variety of content to expand the appeal of your channel. It is important to interact with the user. Please respond to all comments and actively interact with the user. Optimize your videos for YouTube search engines to increase the reach of your videos and let more people see your videos.